Non-English Speakers Often the Target of Scams | The Consumer Law Group, P.C. Millions of Americans fall for scams that cost them money every year. Often these scams are aimed at the most vulnerable people—those who are desperate to get out of debt or those who are unfamiliar with the law and their options. A common target for scam artists are immigrants who don’t speak English and don’t understand our legal and financial systems. 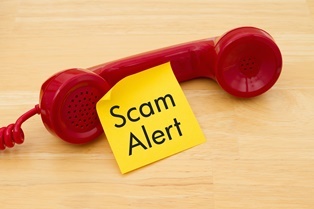 Fortunately, there is help available for non-English speakers to avoid common scams. Ways to Receive Your Money. Compare the benefits and risks of getting paid in cash, with a check, by direct deposit, or on a payroll card. Checklist for Opening an Account. Make sure you are eligible to open an account in the U.S. and have the required paperwork. Also, learn what questions to ask about fees and accessing your money. Ways to Pay Your Bills. Compare the benefits and risks of paying regular and one-time bills by check or money order, by direct debit, online, or in cash. Selecting Financial Products and Services. Understand the different kinds of accounts and cards to meet specific goals and how to get them. By reading these useful guides, English and Spanish speakers can avoid losing money to payday lenders, check-cashing services, identity theft, and outright theft. Being charged for paperwork that is available for free. Paying for the services of a “notario” believing that person is authorized to help them in the U.S.
Paying for a winning spot in the Diversity Visa lottery. Paying for protections or benefits they are not eligible for. The FTC advises immigrants to only work with authorized immigration lawyers or accredited representatives. As consumer attorneys in Virginia and D.C., we see far too many people being cheated out of their earnings by shrewd scam artists. We offer this information to protect our friends and neighbors.